A Marine Board of Investigation into the sinking of the fishing vessel Lady Mary is scheduled to reconvene a public formal hearing beginning at 1 p.m. Nov. 2 at Coast Guard Training Center Cape May (N.J.) in the Oceanside building. The board expects to hear testimony from the commercial divers who dove on the Lady Mary, testimony from commercial fishermen working in the area on March 24 and it will finish taking testimony from the Lady Mary shoreside manager, Royal Smith. In early October, the Coast Guard and a Navy dive team went to the Lady Mary wreck site and were successful in retrieving key pieces of evidence. The most important piece was the Lady Mary&apos;s rudder. The rudder, as well as other items collected from the Lady Mary, will undergo laboratory examinations with the help of National Transportation Safety Board specialists with the hope that additional information can be obtained to gain greater insight into the possible causes of the casualty. 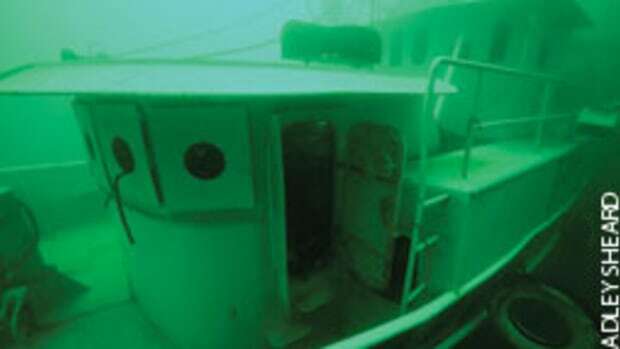 The Lady Mary sank 60 miles off the coast of Cape May. The Coast Guard launched an intensive 37-hour search covering 3,417 square nautical miles after receiving an EPIRB alert. Mystery: What sank the Lady Mary?